Great. Now we have that song stuck in our heads. 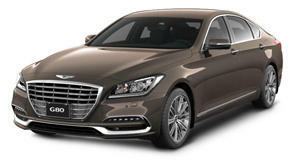 Now that Genesis is a standalone brand, it should no longer have its cars sold in Hyundai dealerships. Of course the changeover takes some time, but the first Genesis showroom has now opened in South Korea. The automaker has just made the official announcement that Genesis is open for business in the prime district of Samsung-don, Gangnam-Gu, Seoul. The photos you’re looking at showcase the 14,000-square-foot facility which houses the three Genesis models on sale at the moment, the G70, G80 / G80 Sport and the G90 flagship.